We do loves us some Jeremy Saulnier in these parts. Time and time again the director has thrilled us with his claustrophobic thrillers: Murder Party, Blue Ruin and Green Room. 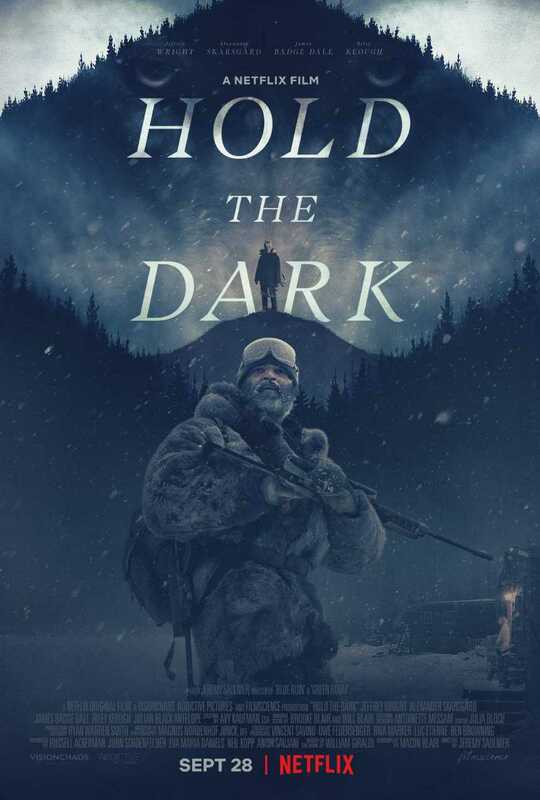 Saulnier has brought his thriller chops to the great white north now, embracing the dangerous wilderness of Alaska (props to our own Calgary, Alberta as the stand in) in his new film Hold The Dark. With the new thriller fast approaching on Netflix next month the key art was released today. Front and center is Jeffrey Wright, the protagonist in Saulnier's film. Look at the banner above and you can see who we presume will be the antagonist. You are usually not the good guy if you are wearing a wolf mask and brandishing a nasty compound bow. Just saying, based on our experience, bad guy. But when Medora's husband Vernon (ALEXANDER SKARSGARD) returns home from the Iraq War, the news of his child's death ignites a violent chain of events. As local cop, Donald Marium (JAMES BADGE DALE), races to stop Vernon’s vengeful rampage, Core is forced on a perilous odyssey into the heart of darkness. "Oh, man, it was completely insane. It was great, we had just enough to get it done, but we were punching way above our weight class as far as the scope and scale of this film. I also was able to experiment with many new things, the challenges of many firsts. Not only did it have the most intense dialogue, and also the highest body count, it had a first war scene, it had an aerial sequence, and by far the most animals I’ve worked with." That intense dialogue was written by Saulnier's spirit animal Macon Blair. Any word of Saulnier working on a bigger and bloodier canvas sounds very promising indeed. They had me at 'highest body count'. 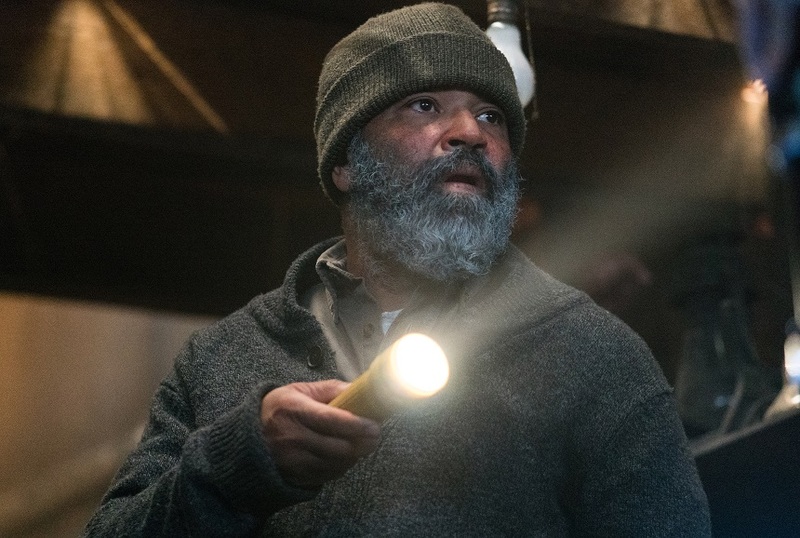 Hold the Dark premieres globally on Netflix on September 28, 2018.